Feel bouncy, beautiful and brilliant again with Ozzy’s Hair Art. Photo courtesy of Ozzy;s Hair Art. Ozzy Vera, a professional in the hair industry for over 20 years, brings his smarts and style with him to Ozzy’s Hair Art in Montclair. His passion for hair and his desire to help people led him to open Ozzy’s Hair Art, which provides custom made wigs, partial hair pieces, microlinking, pole weaving, wig care and many other services. Ozzy’s Hair Art helps women regain their natural appearance and confidence after hair loss due to chemotherapy, severe burns, alopecia or other issues. “Prior to me opening my business, I lost my aunt to cancer. One question that reverberates was the one that she asked me: ‘Can you help me with my hair?’” said Vera. Vera remembered that he didn’t understand her question. Years later, he pursued this question and became a master wig designer to help clients from other states and countries with the same problem his aunt suffered from. Ozzy’s Hair Art studio followed shortly after. “I am committed to others and to this journey of renewal,” Vera stated. Vera constantly searches for new solutions for hair loss in order to create the best experience possible for his customers. He explores current and new methods by attending seminars and consulting with experts. From there, he helps the client decide what the best individualized course of action is. As a side project to Ozzy’s Hair Art, Vera created a non-profit organization called “Ozzy and Friends” that has raised nearly $3,000 for breast cancer research over the past three years. Ozzy’s Hair Art offers both real and synthetic hair pieces to clients. They customize each hair piece, which is why there are no set prices, only consultations. “We pride ourselves on working with every situation, every budget, every ethnic group and every woman,” Vera said. In addition to running Ozzy’s Hair Art, Vera offers courses to small groups professional stylists. He will teach anything from creating strand-by-strand hair extensions to creating a weave using a client’s head mold. Vera has traveled as far as New Zealand with his lecture circuit entitled, “How to Cater to and Understand a Woman Who is Losing Her Hair While Living with Cancer,” and has more international travel planned. He is currently finishing his book I Kept My Promise, which details his story as well as his guidance for salon professionals. He has shared his knowledge all over the country at functions like the Irie Mega Beauty Expo in Daytona Beach and the World Trichology Conference in Chicago. 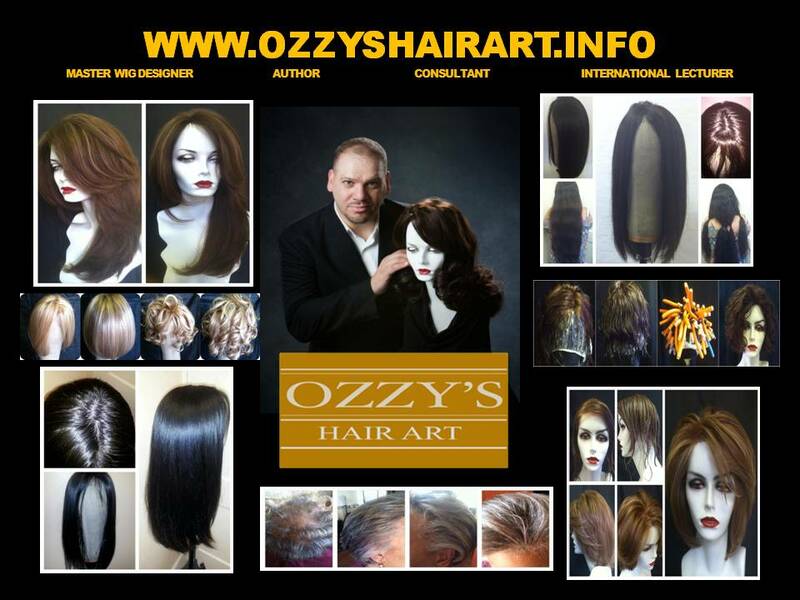 In 2014, Ozzy’s Hair Art was selected for the Hair Replacement Specialist Best of Montclair Award. Ozzy’s Hair Art provides free consultations to prospective customers. To learn more, visit ozzyshairart.info or call 973-655-1100. Visit Ozzy’s Hair Art on Facebook at facebook.com/OZZYSHAIRART.INFO.